It’s that time again! Britain’s biggest boat festival is upon us, starting Friday 14th September and running through to Sunday 23rd September 2018. This 10 day show is a fantastic opportunity to submerge yourself in the boating world in the late summer sunshine. Every year the show brings thousands of visitors to see the 300+ boats on display, as well as all of those bits and pieces you could possibly want for your days cruising. INTENDER 700: Stylish and punchy, our Southampton Show Boat Intender 700 comes with Cream White hull and tops, Honey Esthec flooring and Taupe canopies and bimini. The upgraded Silverguard seating upholstery is beige with cream piping. 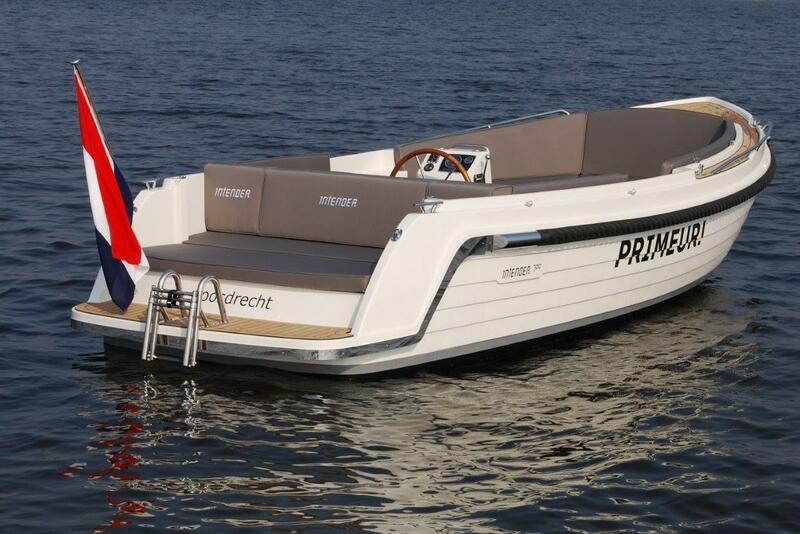 Price is for this highly specified boat is £49,950 inc VAT as seen. 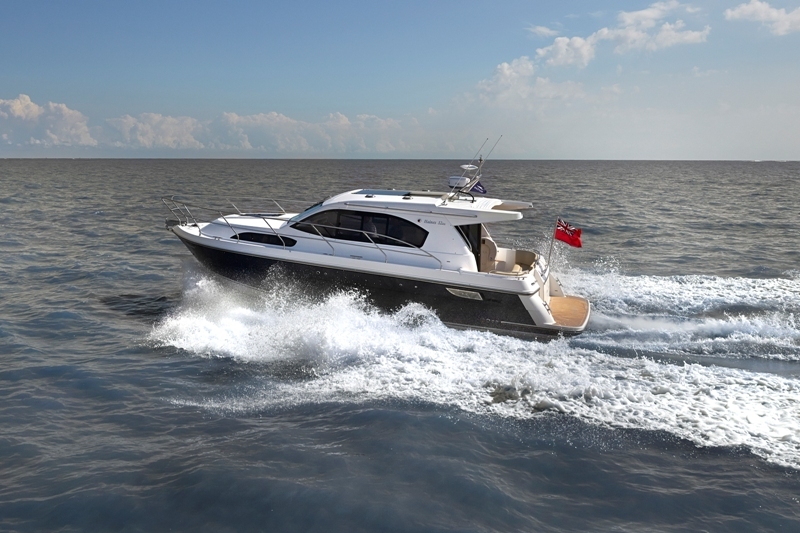 INTENDER 780: UK PREMIERE Interboat luxury style with tender performance at speed. This brand new boat offers the bow and spaciousness of the hugely popular Intender 820 – giving forward toilet and beam to seat 8 in comfort – along with the step through solid transom of the Intender 760 giving good access to the bathing platform and a stylish look. The total price for this comprehensively specified boat at the Southampton Boat Show, with inboard 42hp Vetus engine, is £68,780 inc VAT. 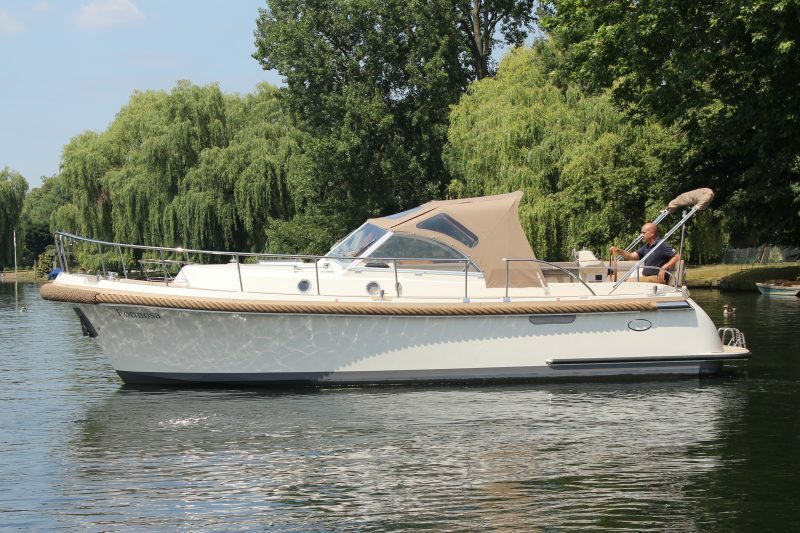 INTERCRUISER 29: past winner of MBM’s “Boat of the Year”, this CE category B cruiser features a large cockpit with rear helm position and open galley and very comfortable seating. Our unique Show Boat features stunning two tone black and white hull with teak decks & windscreen and inboard Volvo 220hp. 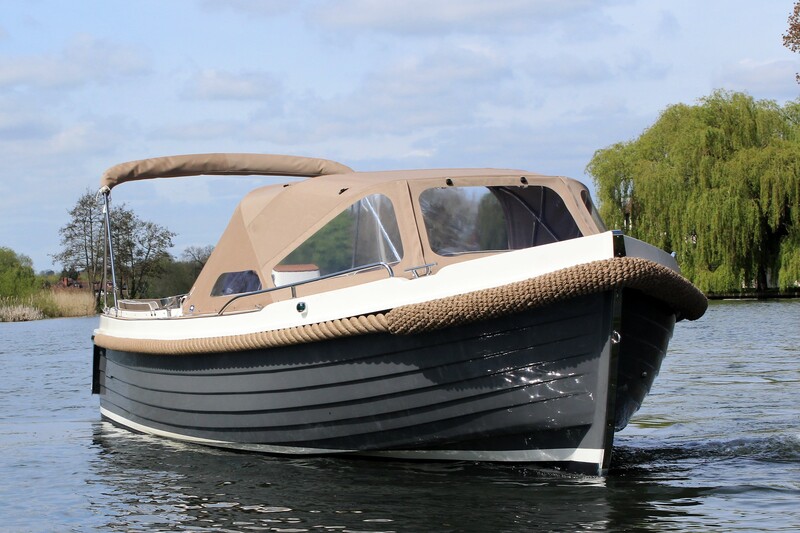 The Show price for the boat as seen is £205,000 inc VAT, saving nearly £15,000 on a new build. HAINES 32 OFFSHORE: this traditionally built, beautiful British cruiser offers excellent accommodation including large island double en-suite cabin and generous galley. The 2018 version of the boat features new options including a new side door option allowing access directly from the helm to the decks. Light and airy throughout, with full opening ‘slide and stack’ patio doors connecting the saloon to the aft deck area. The large island double en-suite cabin forward and generous galley provides excellent accommodation for those longer stays onboard. From £208,020 inc VAT.